Want to try something new? 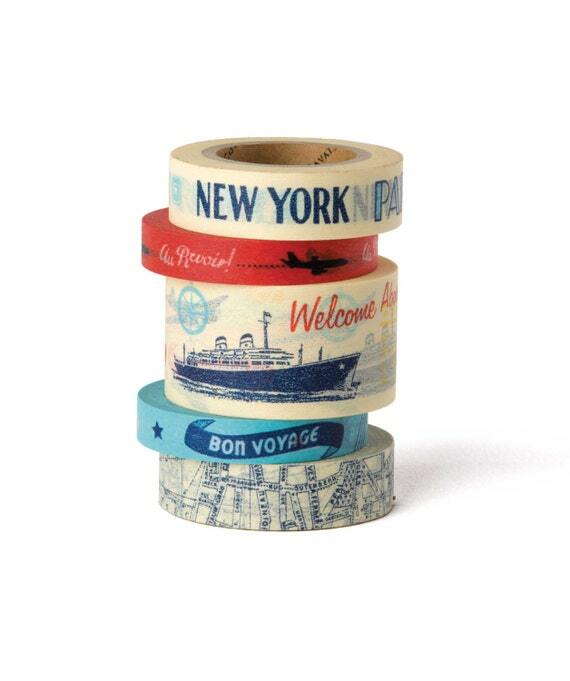 In need of some craftsperation (craft+inspiration – terrible, I know)? 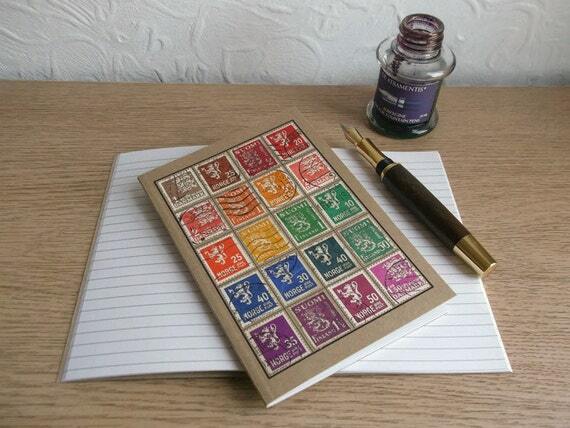 Or looking for that perfect gift for the crafty person in your life? Look no further! 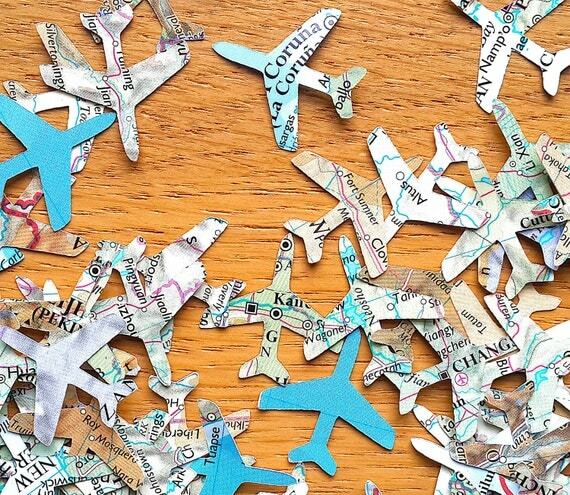 These DIY craft kits are exactly what you need! These a-d-o-r-a-b-l-e animal doll embroidery kits can be found on etsy. I still can’t get over their cute little faces! My favourites have to be the hedgehog and the beaver. Just look at this face! What a stylish dude! 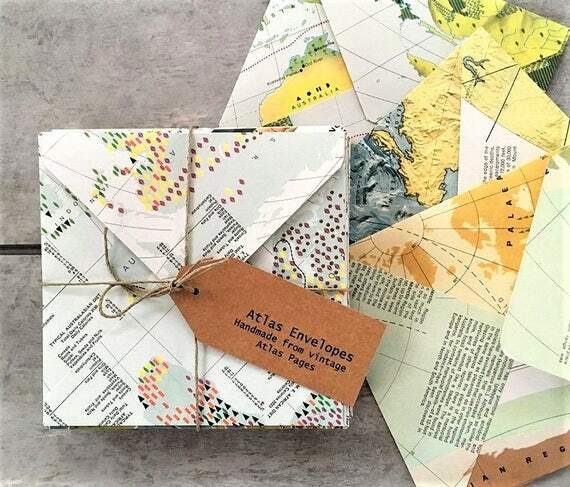 Super cute kits, well packaged and totally do-able, with all the instructions and materials you need included. *You provide the cup of tea and scissors and you’re set to go! You will be able to make a bowl at least 18cm x 7cm high. Other colour combinations are available in the drop down menus and other colours and styles and loads of supplies can be found in the shop. Next up we have a belt making kit from the Leather School®. 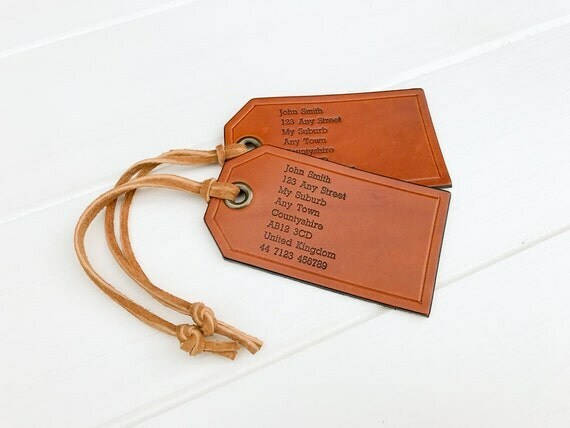 This would make a fantastic gift – whether you want to give it to some crafty for them to make it or make it yourself and then give it, is up to you. Hobbycraft UK stocks a variety of craft kits many from Kirstie Allsopp or their own brand Get Crafty. I like this chicken doorstop sewing kit for its practicality as well as cute design. 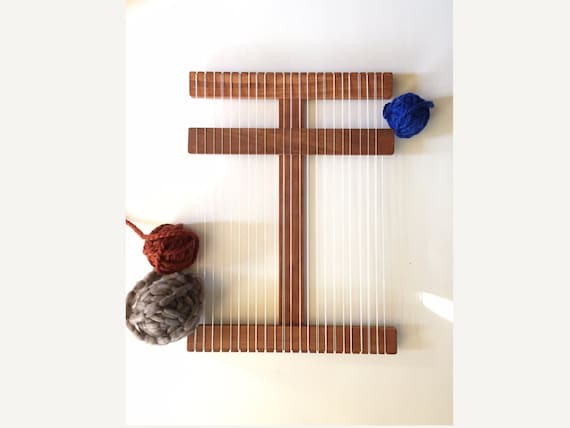 Back to etsy with this kit to make a woven wall hanging. This is bang on trend, easy to learn and you can make many more projects with the hand loom included in the kit. This could be a gift that keeps on giving. There are plenty of other weaving starter kits out there, but I love this peaches and cream colour combo! And finally…one for the young and young at heart. Flower crowns are fun and colourful and these kits add an extra slice of creativity to the mix. Make your own before heading out to a festival…or round the supermarket…your choice. I hope you have enjoyed this quick round up of craft kits. I will continue to add more to the list as I discover new gems. After a week with no wifi (what did people do before internet?!?!?) I’m back with a new craft crush. I noticed a while back that cacti are very ‘on trend’ this year. But to be honest I wasn’t really on board with this trend. I had two little cacti when I was younger and never really liked the spiky little things. 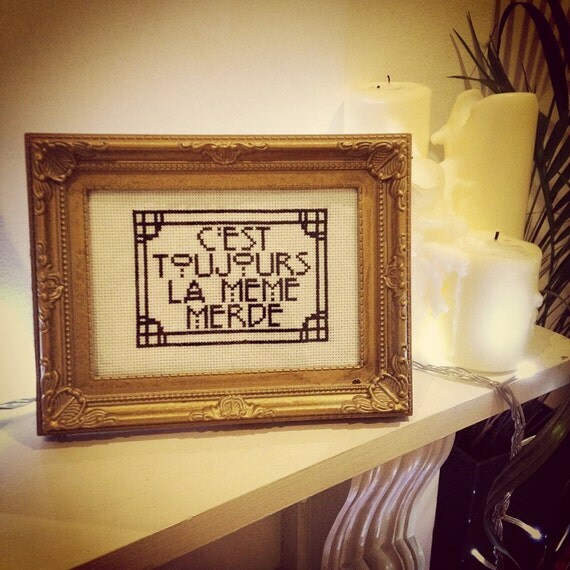 That was until I started seeing this trend being translated into craft! 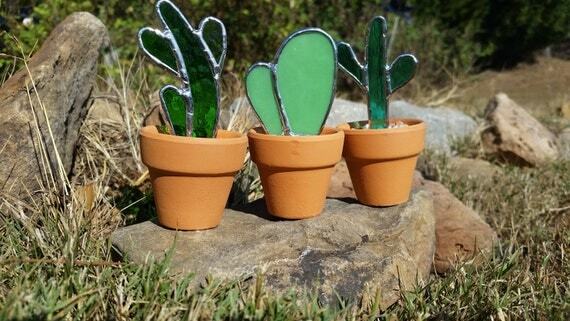 Handmade cacti made from all sorts of materials have been popping up on pinterest and in etsy newsletters for the past few weeks and I think they are just adorable. You have the chic look without the actual prickles. 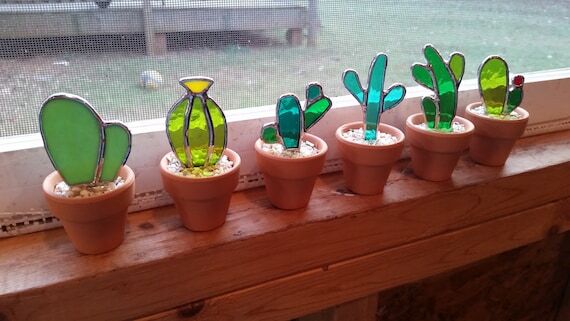 These stained glass cacti by MooncalfGlass are adorable. I love them lined up by the window, bringing in colour without blocking the light. There is also a hanging version. 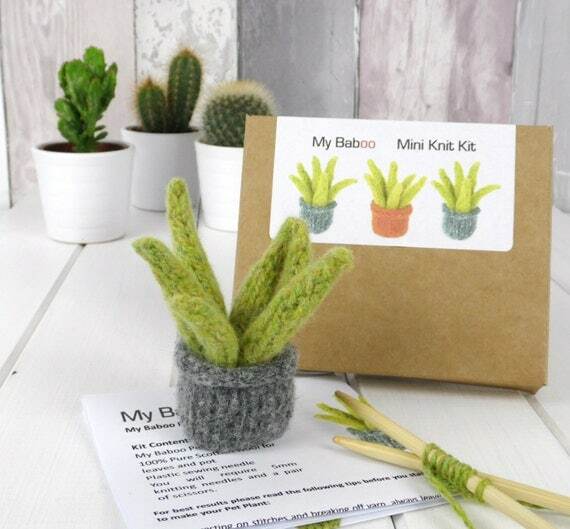 If you want to have a go at making a cactus yourself try out mybaboo‘s Mini Knit Kit! 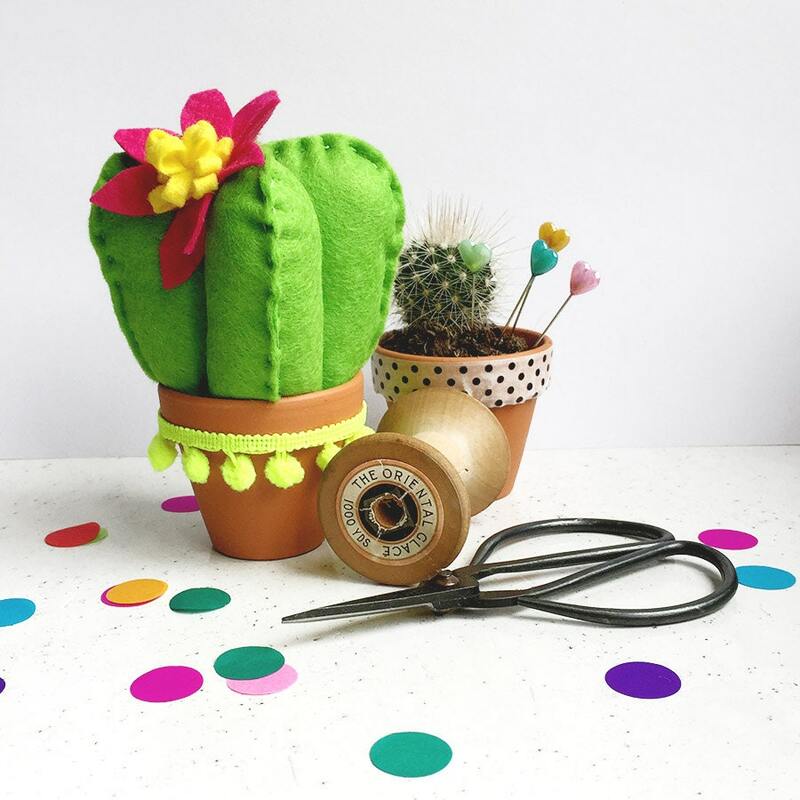 This looks more like aloe vera to me but you can find lots more knitted cacti on etsy. I particularly like this luxury wool pin cushion. 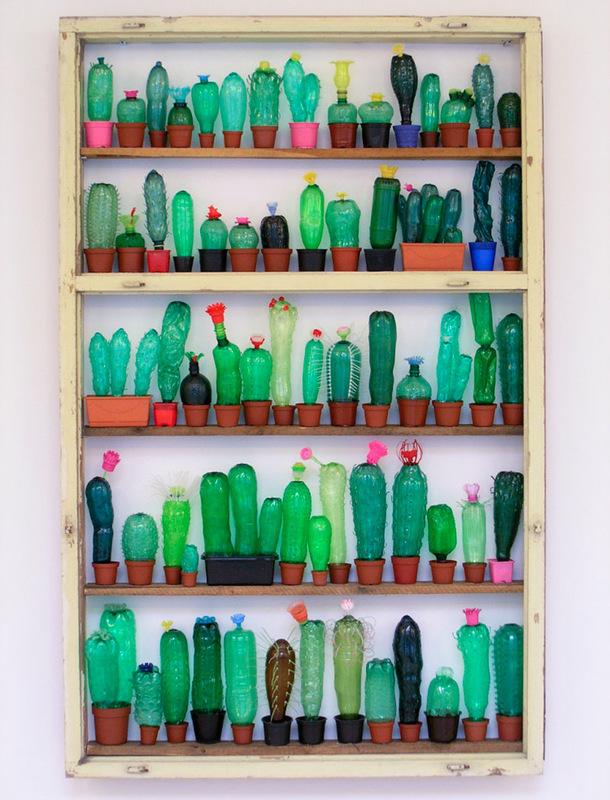 I love this project by Veronika Richterova featured on Colossal made from recycled PET plastic. It is visually stunning and has an inspiring message. 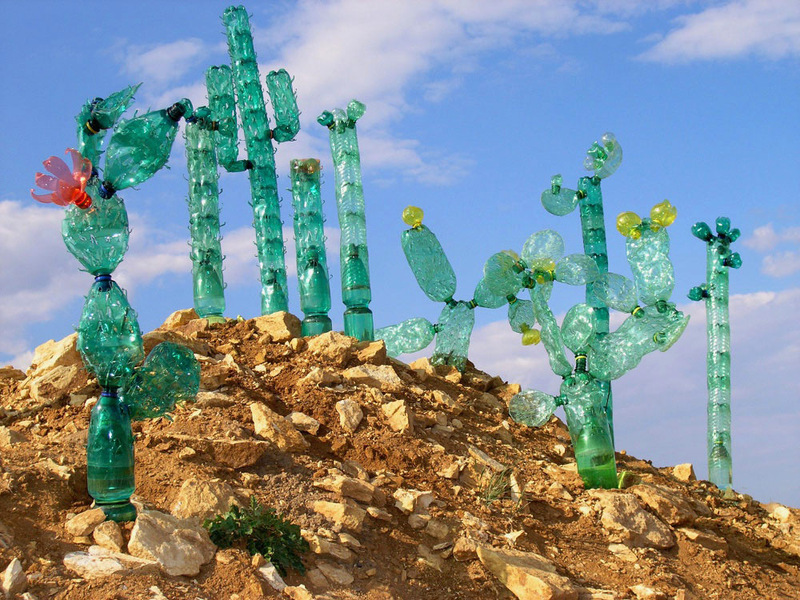 Her website a tribute to PET bottles is really informative and in the gallery of her work you can see many more examples of her sculptures made from PET plastic. Time to start collecting bottles and having a go myself I think. I’ve seen an awful lot of variations of stones painted to be cacti. They are cute and fun and is an easy craft project for kids. Here (above) you can see some by Salt and Pepper Moms. 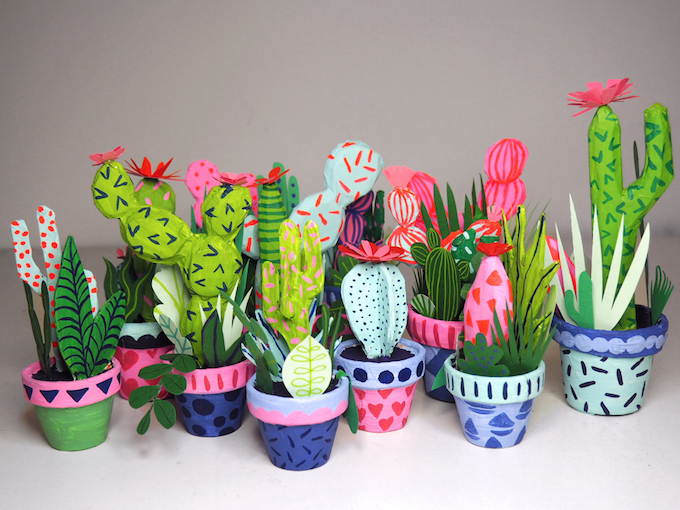 I just love these colouful and quirky paper cacti by illustrator Kim Sielbeck featured on Brown Paper Bag. And finally, what is life without some concrete? 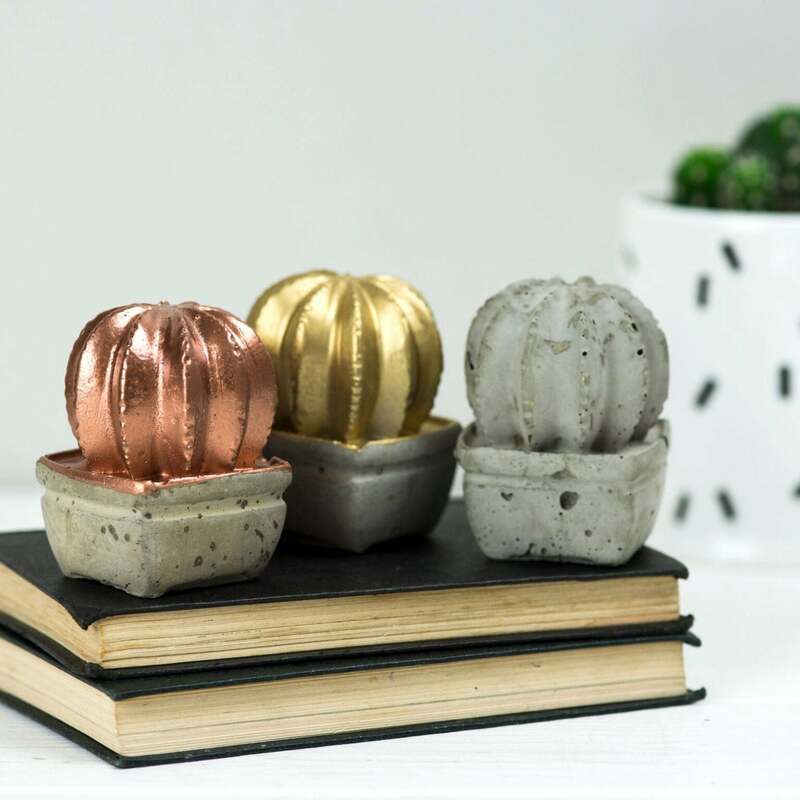 These concrete cacti could make a great paperweight or bookend. hereIf you are looking for that oh so charming, paired back, rustic French style here is some inspiration for you. 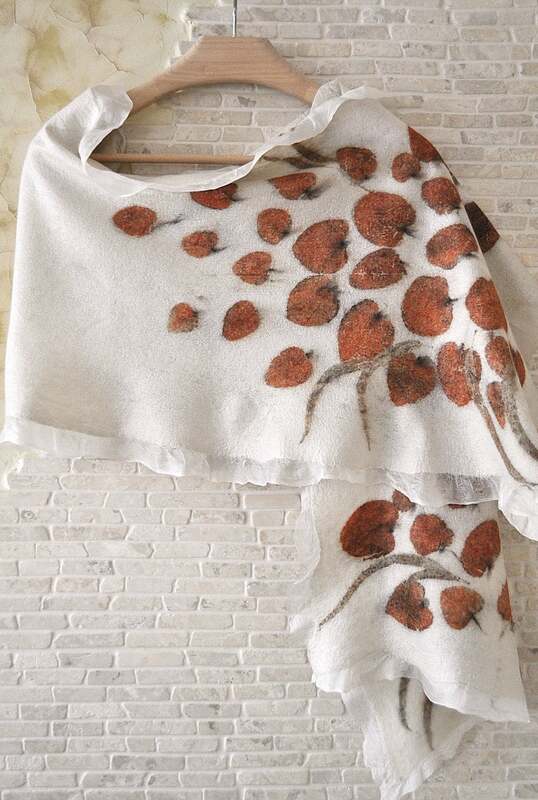 First up: I just love the simplicity of old French linens, they really give that rustic charm. 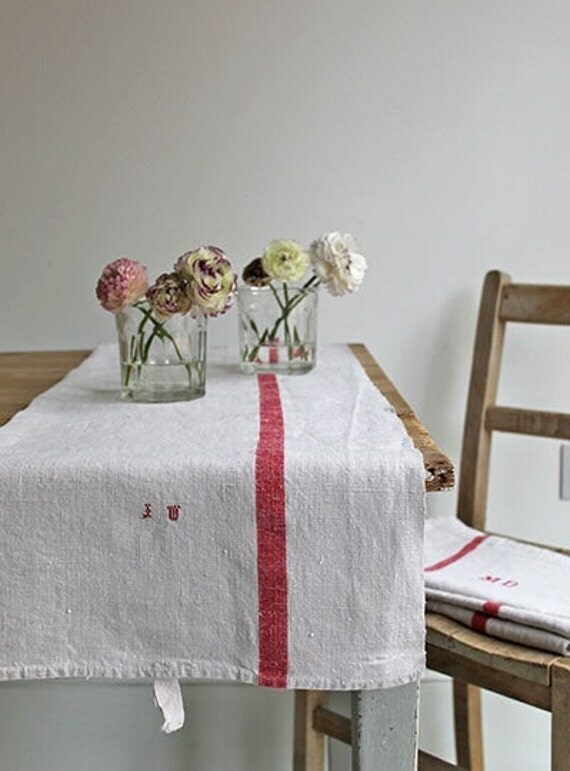 This large tea towel with a perfect red stripe is an easy first step to achieving the rustic French kitchen. 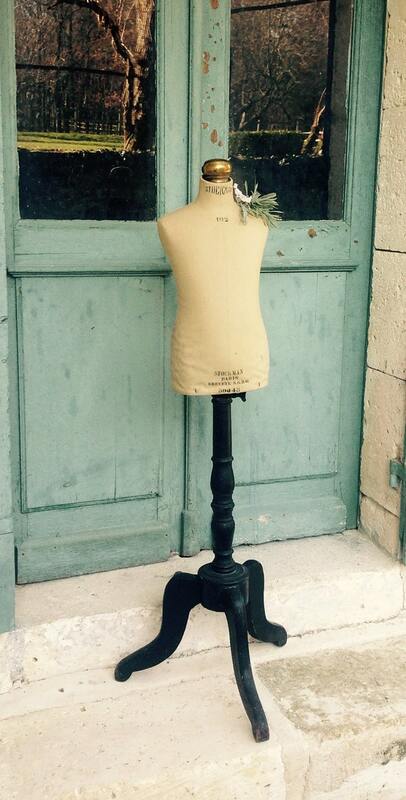 Check out this vintage mannequin, dated 1900-09 here. 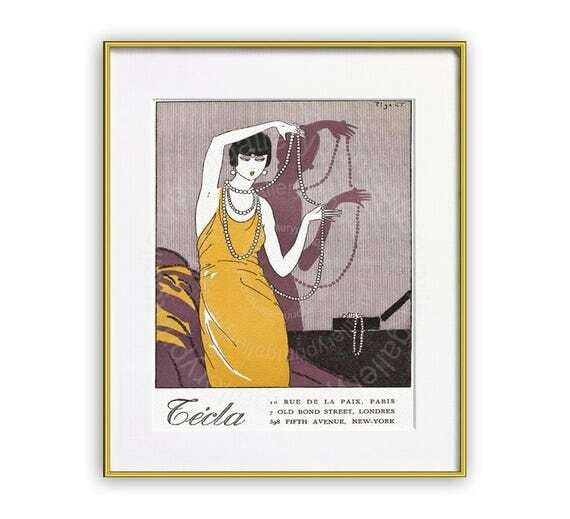 Or for something ultra chic and elegant to grace your walls this deco advertisement will do the trick. 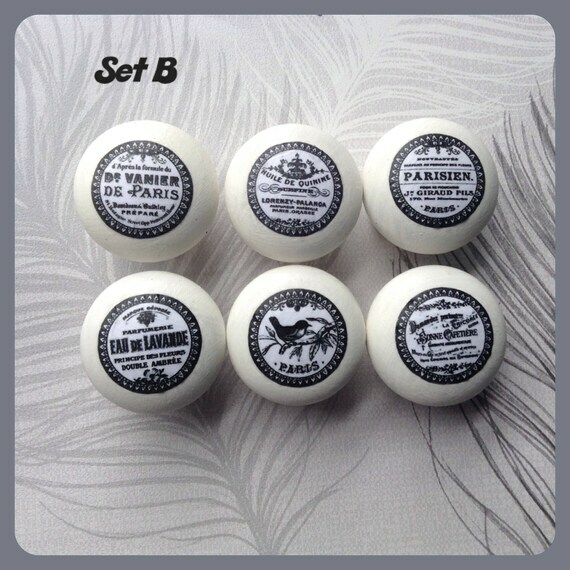 Spruce up an old chest of drawers with these decoupaged draw knobs. 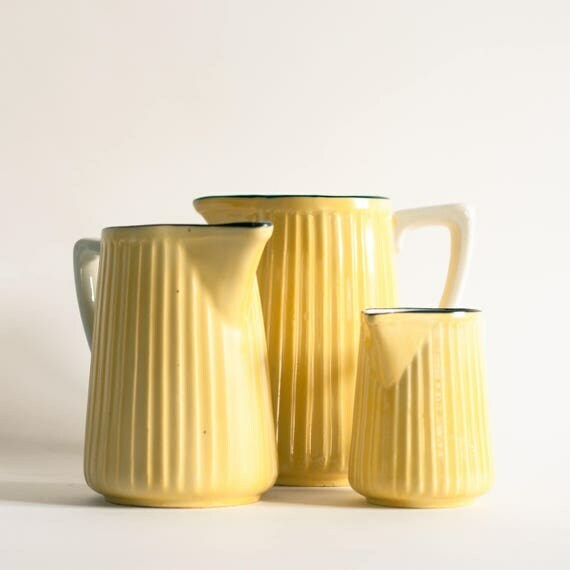 Brighten up a kitchen or dining room with this set of rustic yellow pitchers. A little something for the garden here. 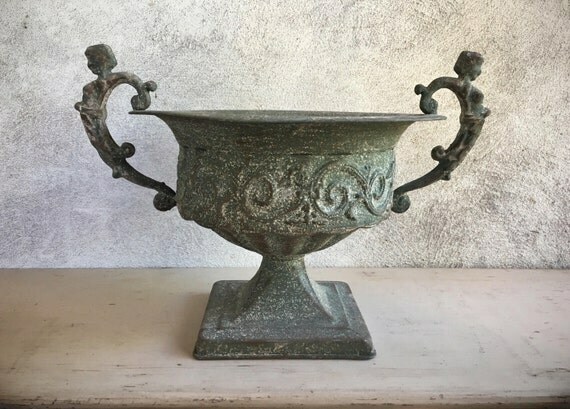 This vintage planter screams French chateau. 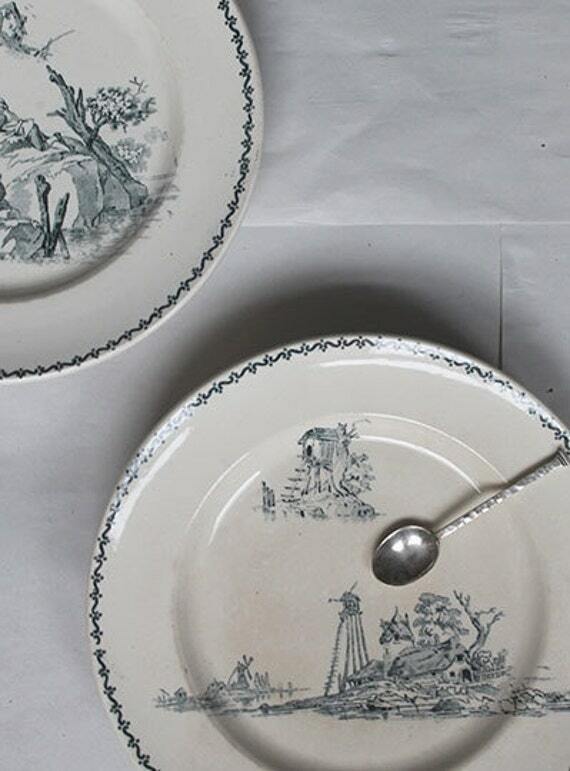 If pastoral scenes are more your thing these antique plates are for you. Simple yet charming. 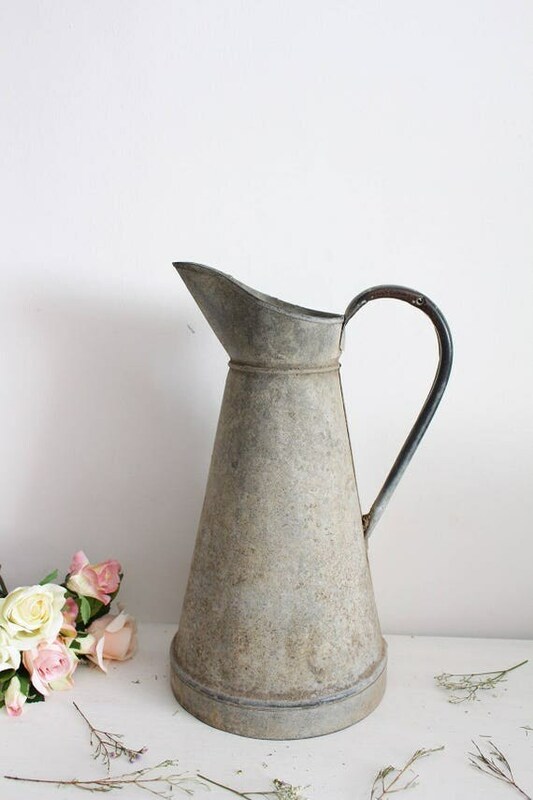 A simple galvanised water pitcher can make a big statement in the right setting. 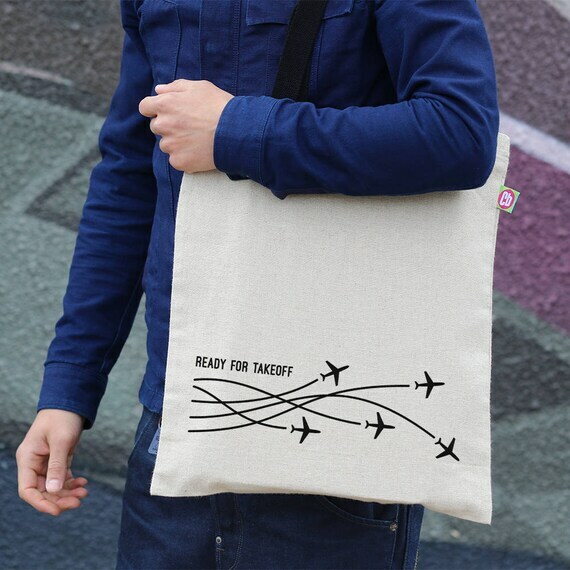 And finally: Looking for a gift for the man in your life? Or just have inclination towards the industrial look? 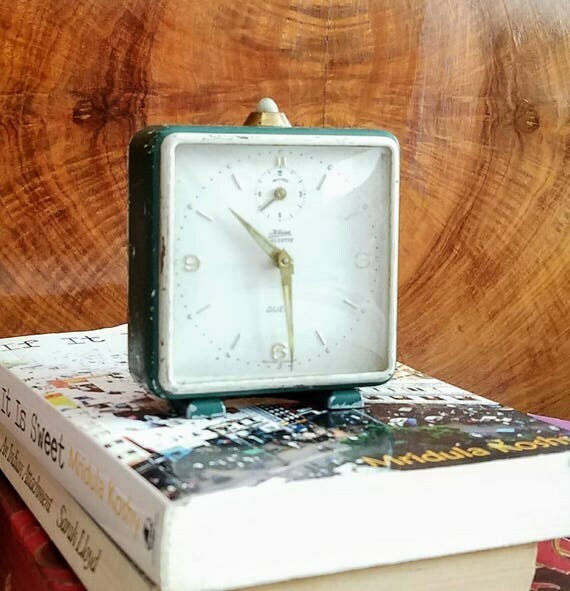 Either way this rustic alarm clock is for you. Now, baby shoes may not be something that would usually interest me, but in Ljubljana they seemed to be in many of the design and craft shops. Alongside the ceramics and jewellery, the baby shoes were so lovingly made and of such high quality I couldn’t help but snap a photo (or two or three). I don’t have much information about these super cute shoes apart from the fact they were all found in shops in Ciril-Metodov trg, Mestni trg and Stari trg, which is the area between the river and the castle. I do know that I found the amazing lace shoes (below) at the Idrija Lace Gallery, where I also saw a great necklace and lots of other great lace. Don’t you think they would be perfect for a christening? Find it at Mestni Trg 17 and www.idrija-lace.com. And finally, I saw this little display in a shop window. I like the use of a cake stand to show off the tiny little shoes, and they definitely look good enough to eat! Jewellery is always something that catches my eye as it not only showcases fantastic hand craft skills, but it is also the biggest temptation to buy something. 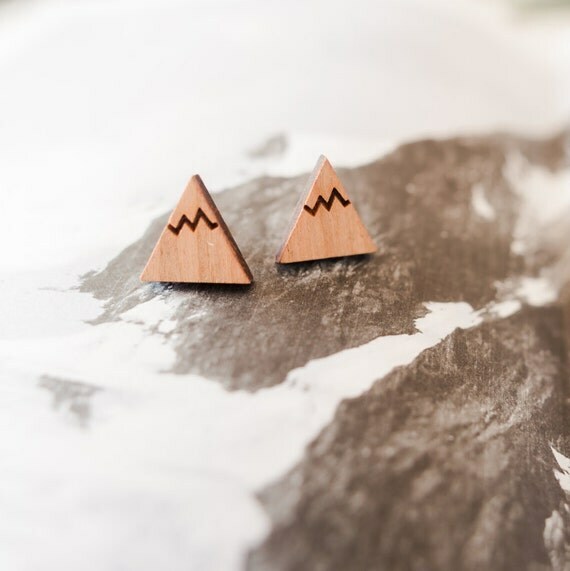 I don’t have a house to buy ceramics for, but earrings…you can never have too many earrings! My will power was tested by this selection of wood and acrylic jewellery by SUI. I was really tempted to buy some of these earrings, but unfortunately they didn’t have the colours I was looking for. This photo doesn’t do justice to these fantastic necklaces by MATEiKA. On Mestni Trg I discovered a fantastic lace shop. Amongst the traditional white lace there were a few more unusual items that drew my attention, one of which was this necklace. 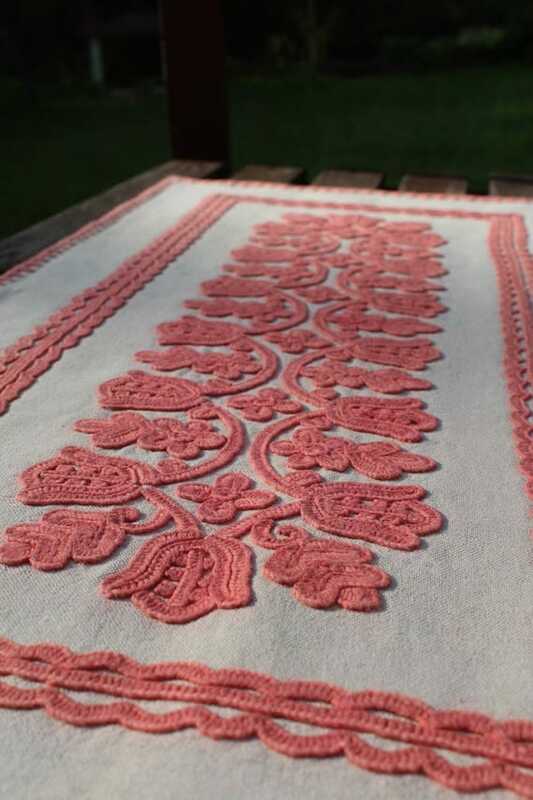 The Idrija Lace Gallery is really a treasure trove, so whether you like traditional lace or something more unusual, you should definitely check it out. These brooches (above and top picture) from Lesema are super. I particularly like this gold one. 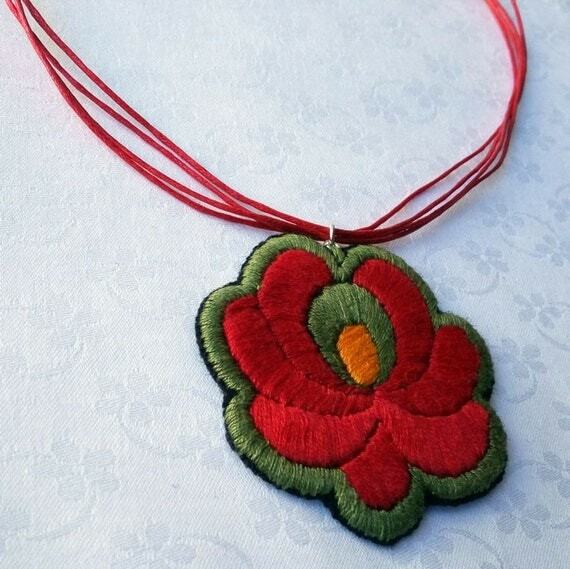 Ljubljana is home to an amazing selection of places to find crafts handmade in Slovenia. In just one morning, as I explored the city centre, I discovered everything from traditional lace to contemporary ceramics. The area between the triple bridge and the castle (particularly Ciril-Metodov trg and Stari trg) is a treasure trove of design shops, galleries as well as souvenir shops. 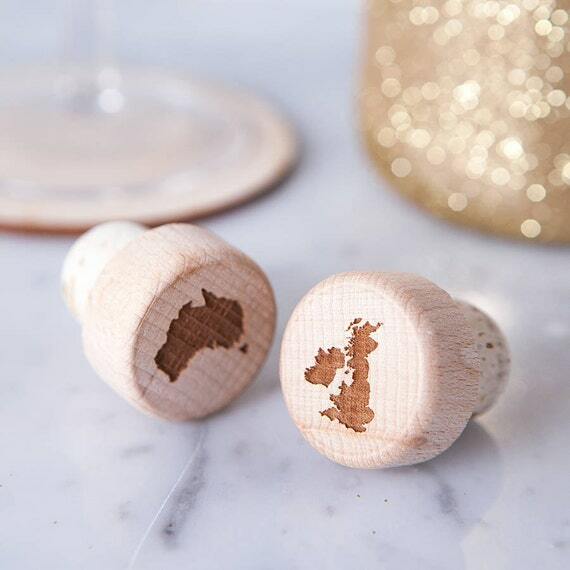 It is clear that Slovenians are proud of their country and their traditional crafts from the number of signs and labels exclaiming ‘HANDMADE IN SLOVENIA’. Real craftsmanship is clearly alive and kicking in Slovenia! 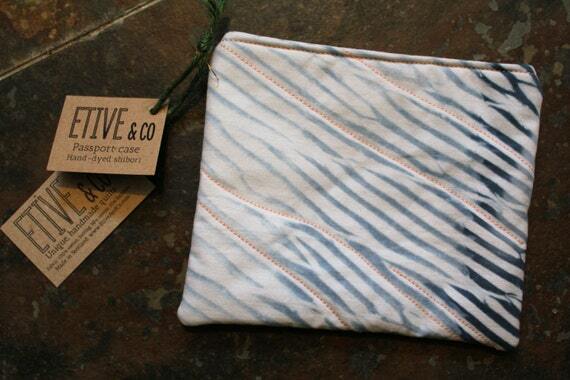 Featuring the classic combination of blue and white these lovely designs are the work of Marte and Karl Pavlinc. The vibrant, eye-catching plates were the stars of the show in ika. Porcelain Catbriyur shop and workshop definitely catches the eye as you walk down the street. With golden window dressings and a lavish interior, you can’t help but stop and look. Katja and Jure Bricman’s fine porcelain has received international attention and critical acclaim. For more traditional styles head to DOM souvenirs where you will find a variety of styles of Slovenian ceramics including this lovely set. And finally, I love these dishes by Dasa Kogoj. It might be May, but today felt like Christmas when I discovered this amazing shop n Salzburg. Christmas in Salzburg is stocked with a vast array of decorative eggs for Christmas, Easter, Halloween and year round decoration. Decorating eggs for Easter is a popular tradition in many parts of Europe. However, this shop extends this tradition and takes it to the extreme. These colourful creations are all made from real eggs that have been hollowed and hand decorated. They use chicken, goose, duck and even ostrich eggs. You can even buy a plain egg shell to take home and try decorating yourself. The decoration varies in style and price, with many extravagant, colourful designs. Aside from the hand painted eggs, you can also find a range of eggs decorated with cross stitch and lace. An American tourist in the shop at the same time as me couldn’t quite believe that they were all made from real eggs and were so delicate and breakable. She decided against buying one as a souvenir because she wasn’t sure she could get it home in one piece. Although they are safely packed up in egg boxes. I took the risk and bought an egg decorated in a style more typical of Slavic countries. 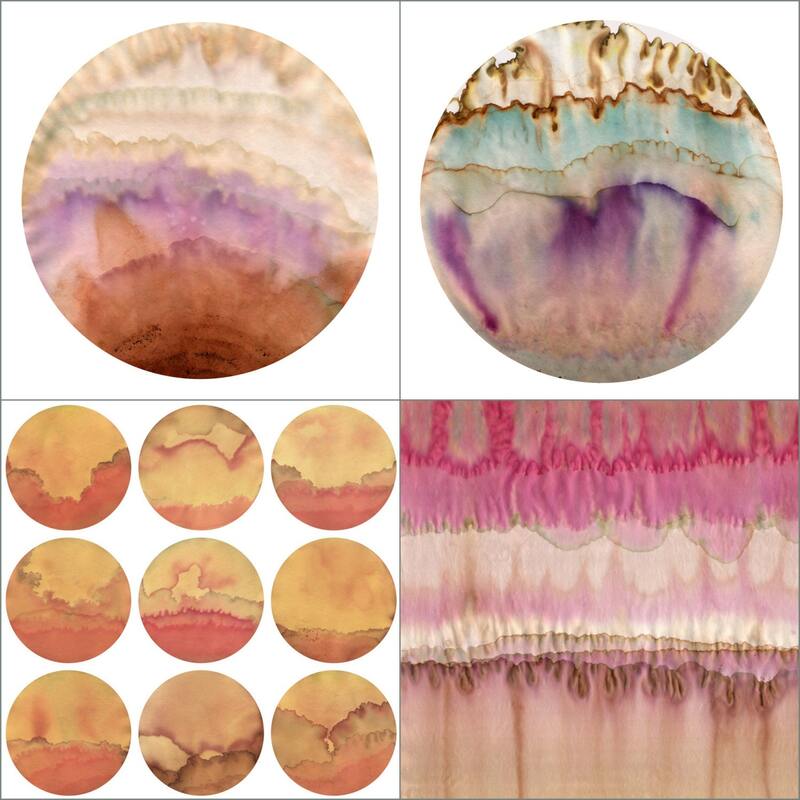 These eggs are first dyed and then a pattern or image is drawn onto the surface with a needle. The shop assistant was keen to emphasise the time and care that goes into decorating an egg in this style.